Do you have a special someone in your life who loves to dine at the coolest new restaurants or whip up recipes from the latest cookbooks? Well, we consider that person a food connoisseur, and that's why we have specifically created the foodie lover’s gift guide. You see, it takes a certain person to appreciate the finest apple butter or a whistling bird teapot—and we happen to love them for it. Truth be told, they are also some of the most discerning people we know, so we definitely need to aim to impress. With the holidays nearing, we decided to round up everything from the coolest cooking gadgets to barware to even tabletop accessories. You'll totally surprise that person with an unexpected something they'll treasure (and, luckily, won’t have already). Scroll through to get a taste of all 23 items in our foodie lover’s gift guide—you may find yourself buying a second set for yourself. 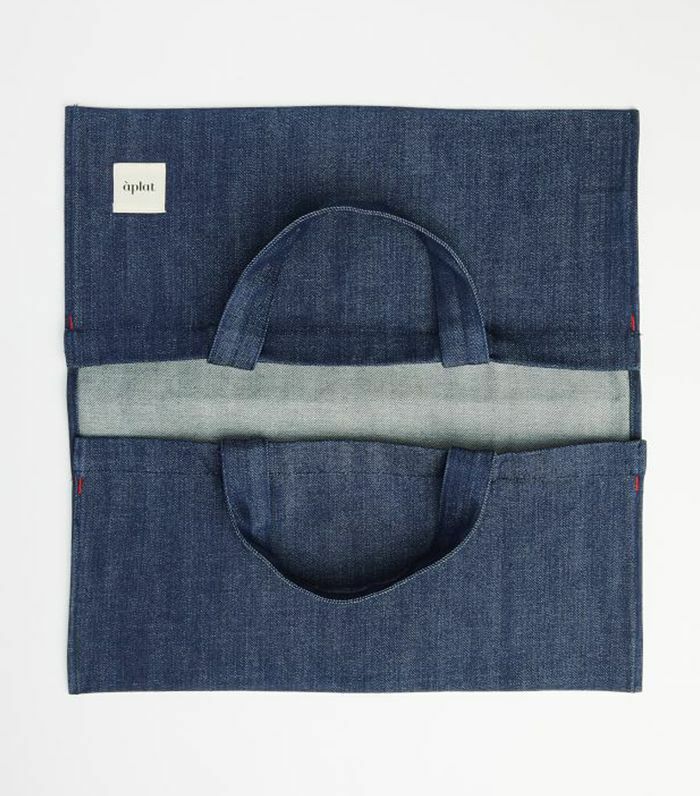 With Aplat’s tote bags, there will be no more unnecessary spills while transporting fragile dishes to gatherings. The functional, upright design is crafted by a team of women in San Francisco (plus, they fold flat for easy transport back home). 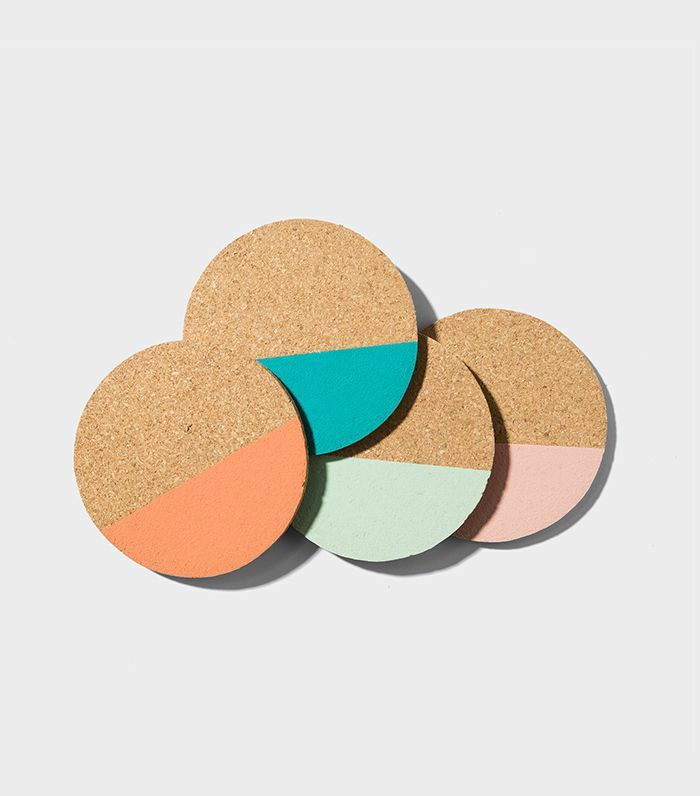 For the bartending aficionado comes cork coasters with a dipped design. Each features a different color, which is helpful for keeping drinks straight. 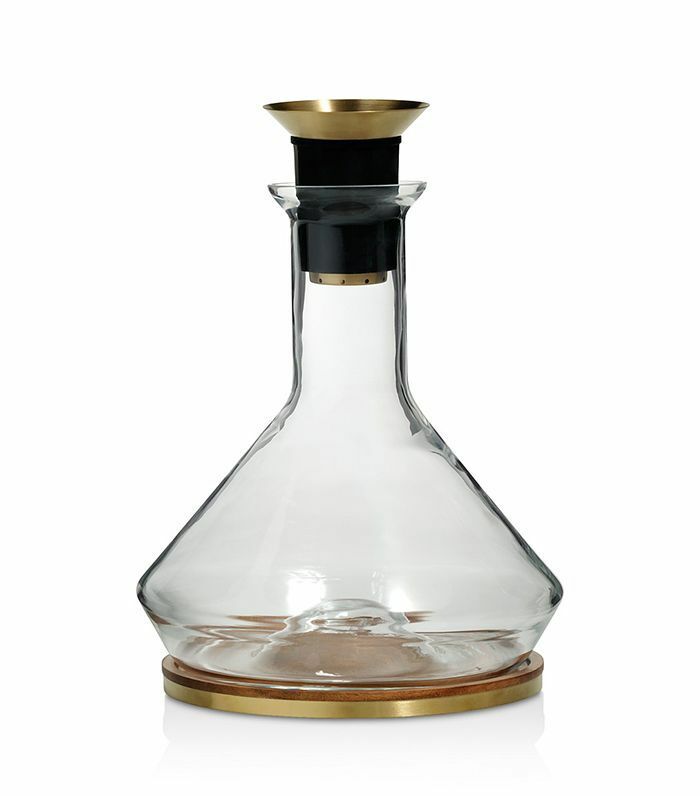 This artsy decanter not only comes with an aerating funnel but also has a strainer to remove any sediment. And oh yeah, it’s virtually spill-proof considering the acacia wood base specifically handles drips. 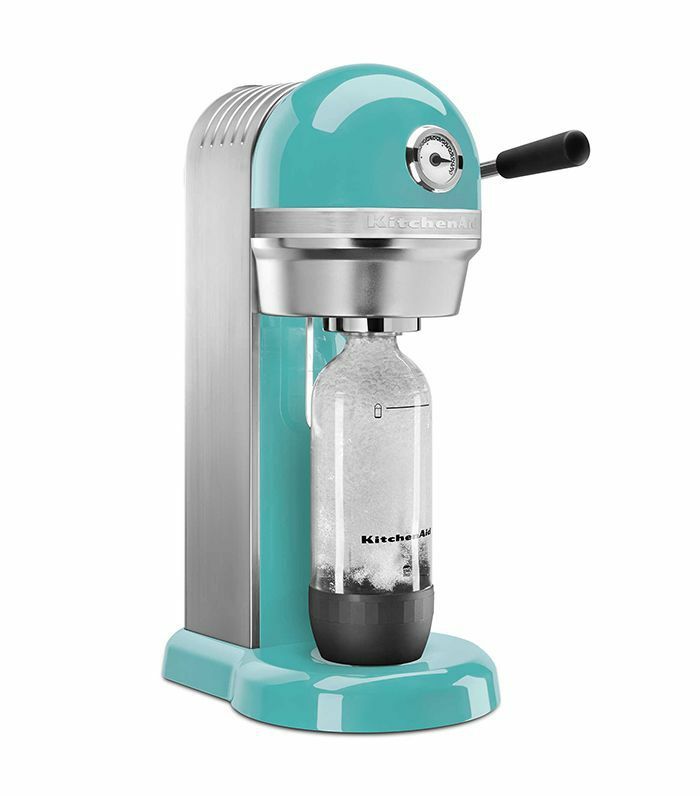 What happens when KitchenAid teams up with SodaStream? You get a colorful carbonated drink maker that’s pretty enough to leave out on the counter. 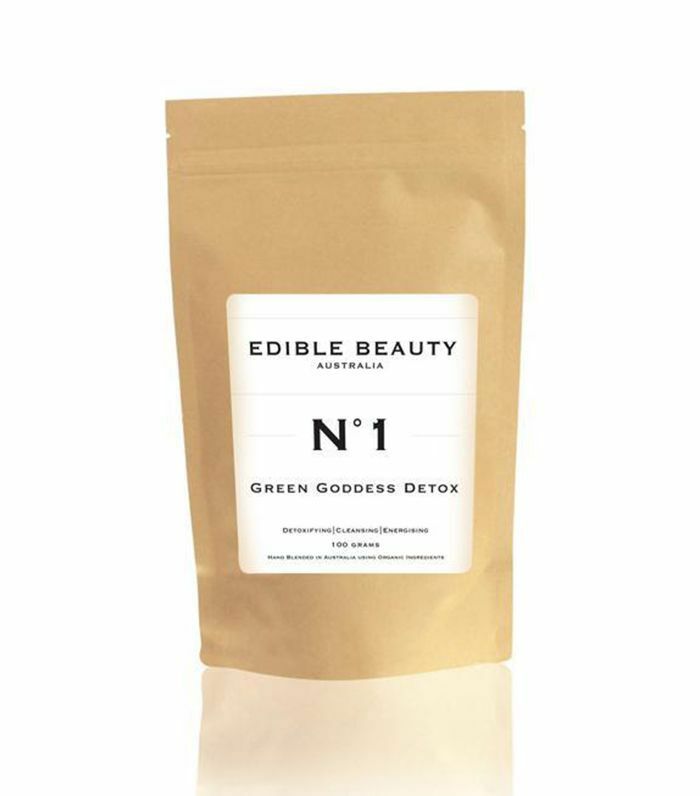 We’re so into the idea of beauty teas—botanical herbs do everything including energizing and hydrating skin for a total glow. Plus, citrus peel and lemongrass give this blend a yummy flavor that’s soothing for bedtime. 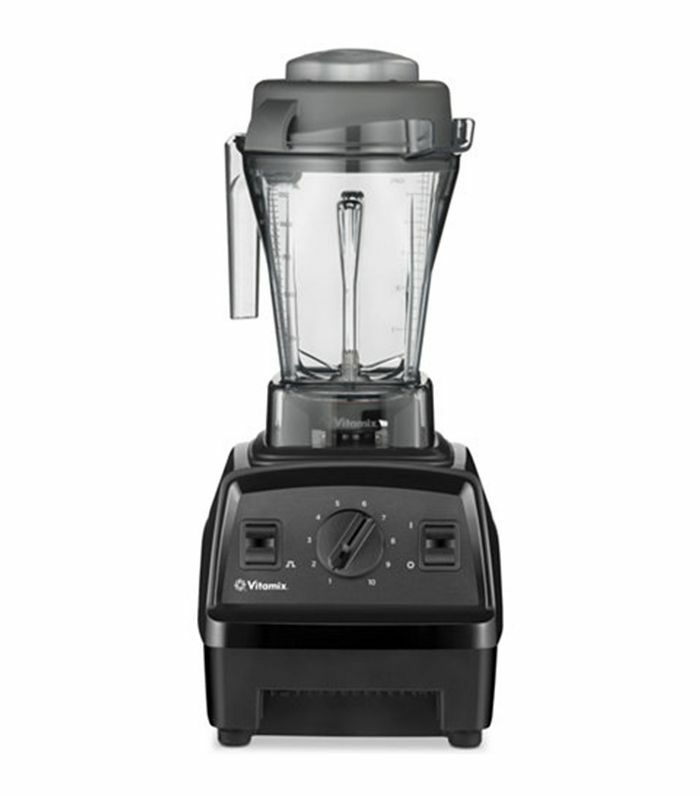 Finally—a Vitamix at a more reasonable price. This model from its new Explorean series has a ton of capabilities for whipping up insanely delicious smoothies and soups. Your recipient won’t even know how to thank you. 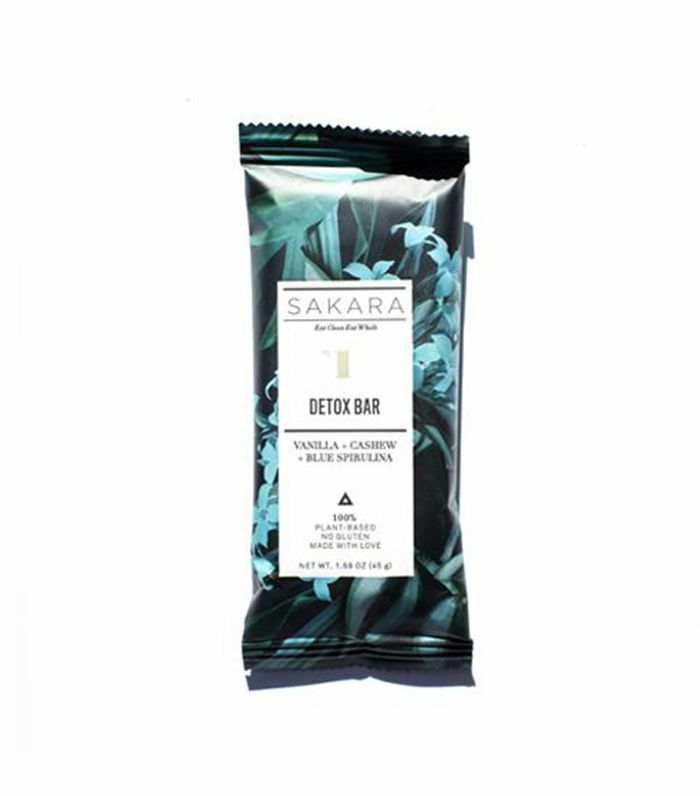 Is there anything from Sakara not worth gifting? Anyone into a healthy lifestyle won’t be able to stop eating these tasty vanilla and cashew snack bars that aid in flushing out toxins. Plus, their wrappers are oh so pretty. 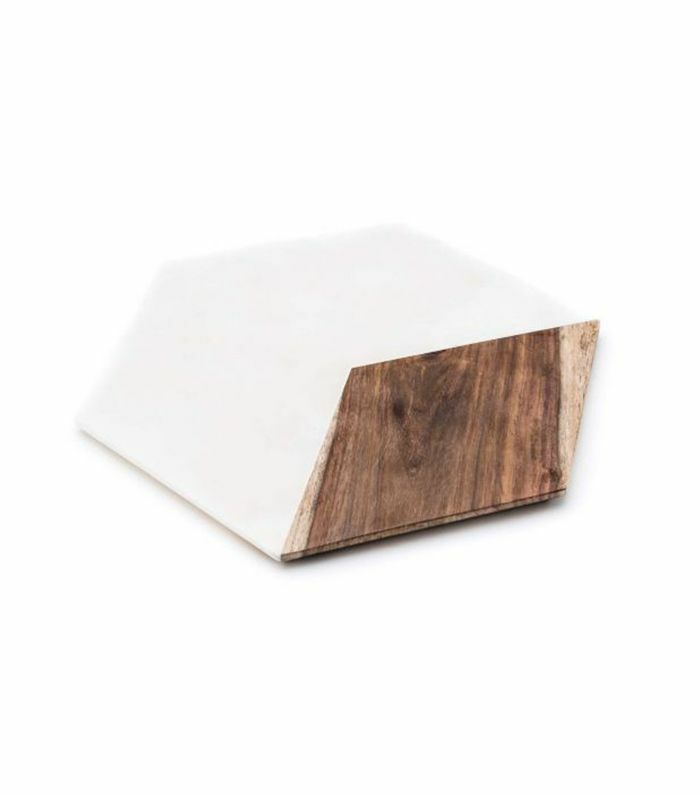 A gorgeous wood and marble cheeseboard doubles as a serving plate when company calls. The hexagonal shape gives it an artistic flair your foodie friends will go crazy for. 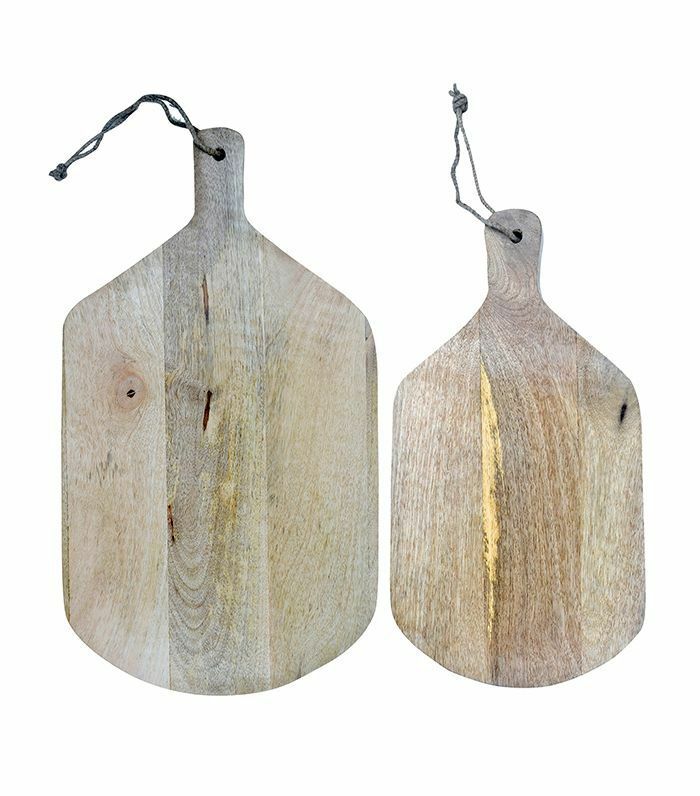 A duo of wooden cutting boards resembles those rustic paddles you see at the pizzeria. They come perfectly imperfect, so there’s no need to worry if they end up getting some nicks from slicing or chopping. 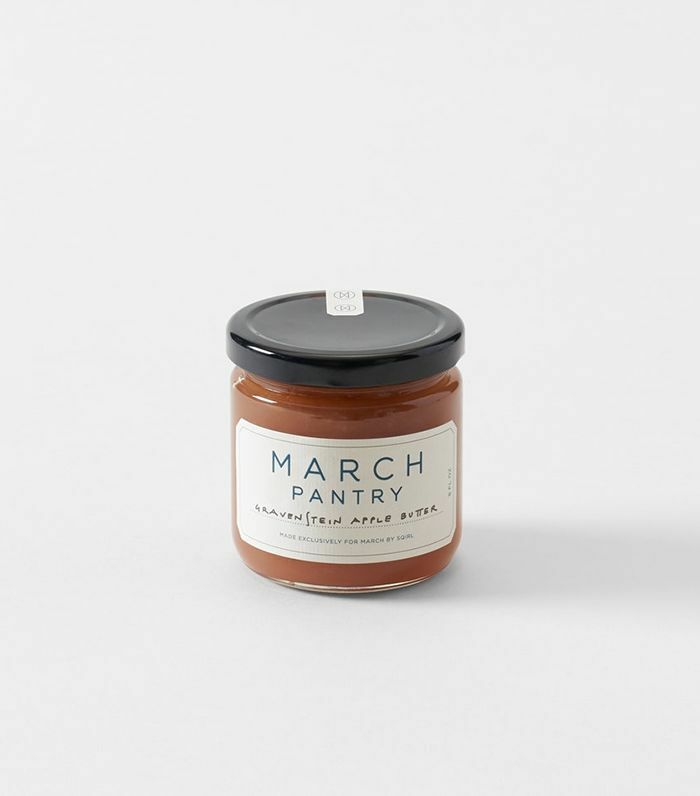 Sqirl’s exclusive apple butter jam for March is produced with old-fashioned techniques going back to the 1500s. What’s more, all the fruit is organic and locally sourced, giving it a simply mind-blowing flavor. 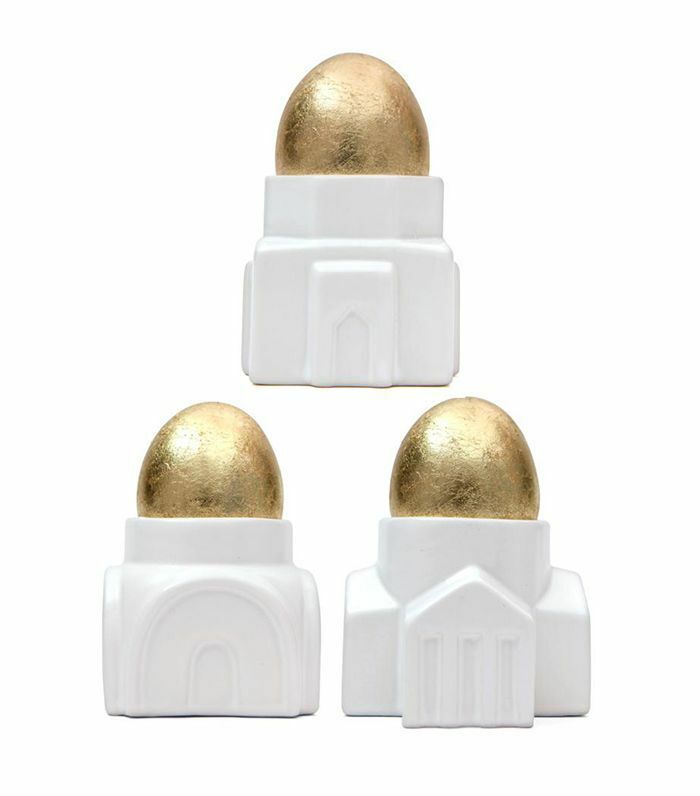 Leave it to Kikkerland to design the chicest soft-boiled egg holders around. The brand tapped Russian designer Constantin Boym to craft cups inspired by three types of architecture—classical, Eastern, and Russian. 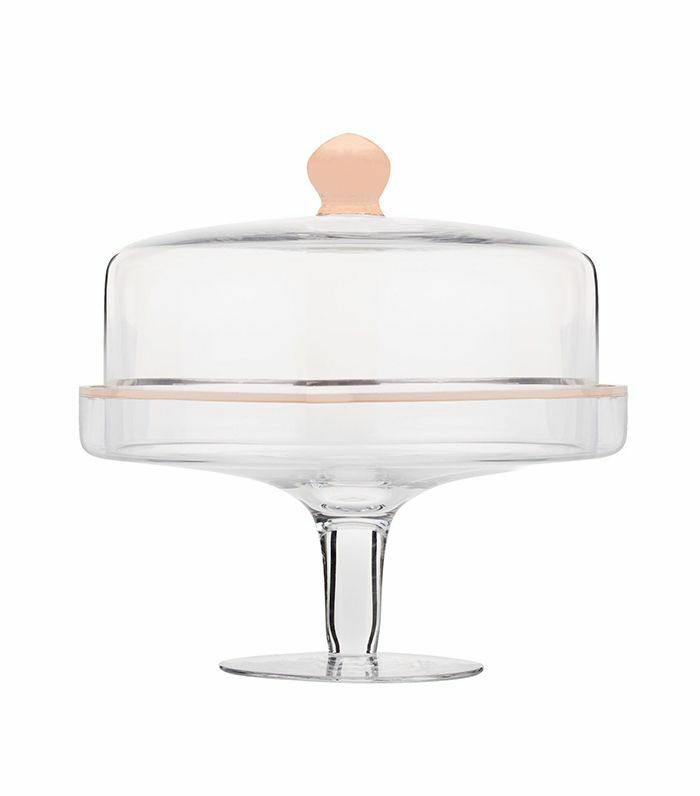 Every baker should have a cake stand to show off their latest confections. This Monique Lhuillier–designed piece for Pottery Barn features the same rose-gold color the designer uses in her fashion collections. ’Tis the season for holiday parties. 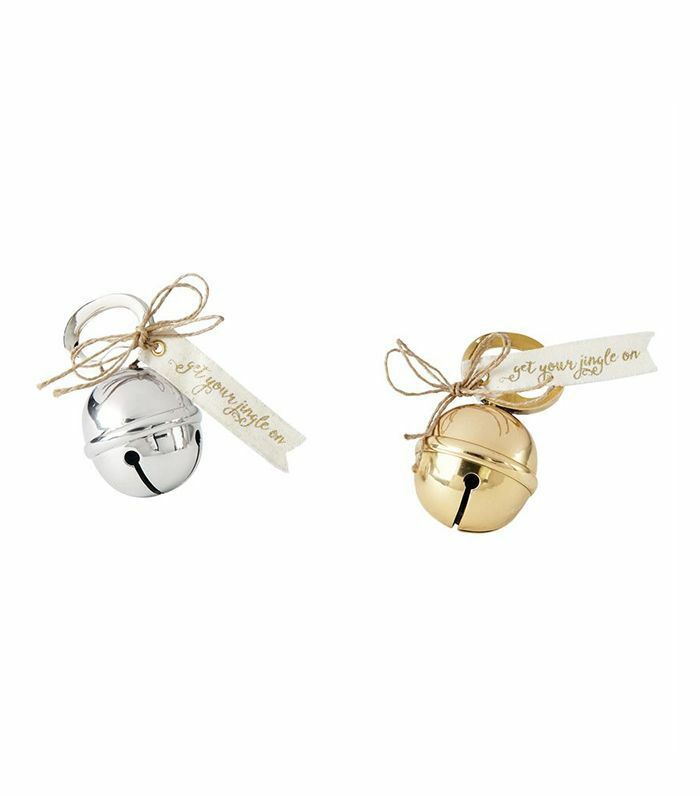 What better thing to gift your foodie host with than an adorable jingle bell bottle opener that comes with a cute “get your jingle on” note attached with pretty twine? 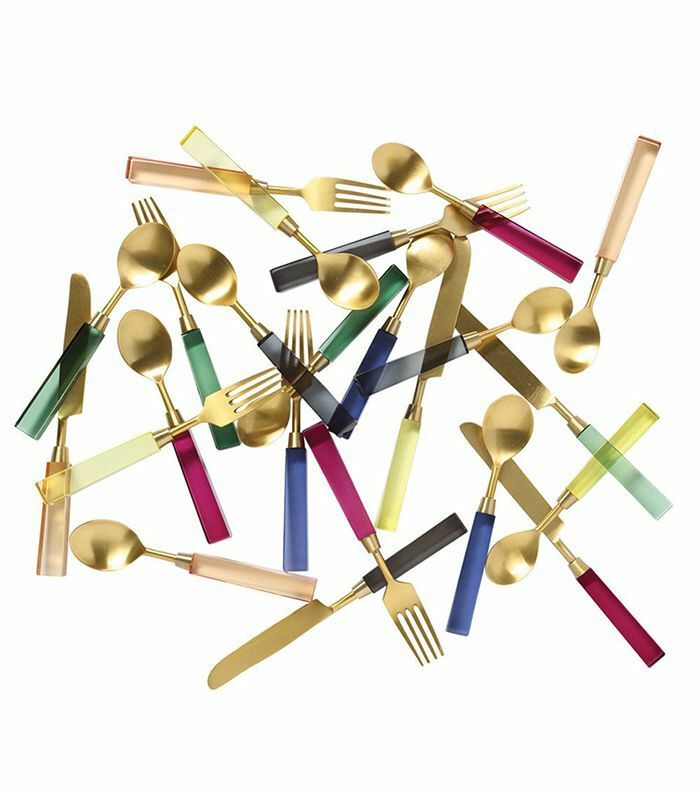 Mix-and-match cutlery means creating a tablescape just got 10 times more fun. 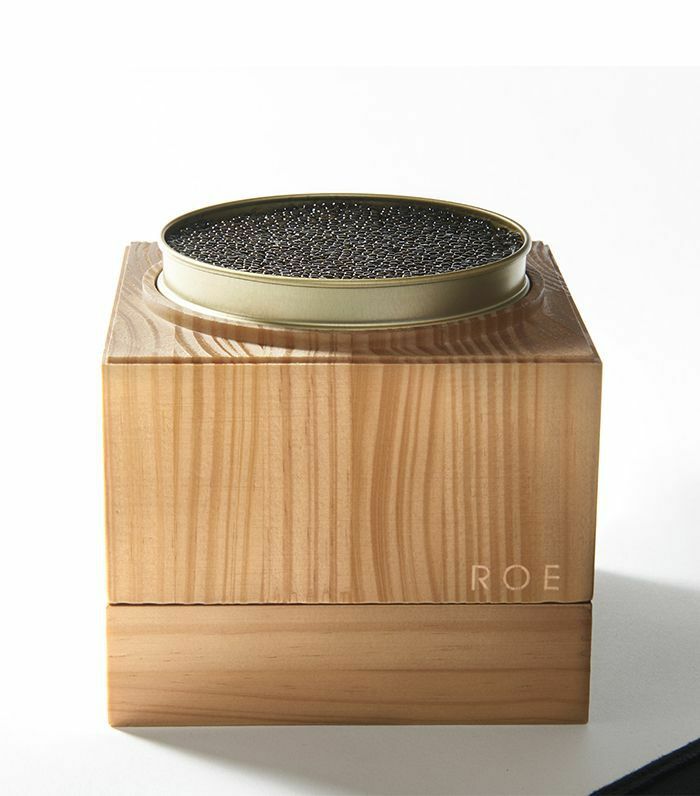 Plus, it’s all housed in an elegant keepsake box ideal for gifting. This gourmet white sturgeon caviar is sustainably sourced in California and ships with custom insulation to ensure freshness. If you want to go all-out, the wooden boxes are monogrammable. 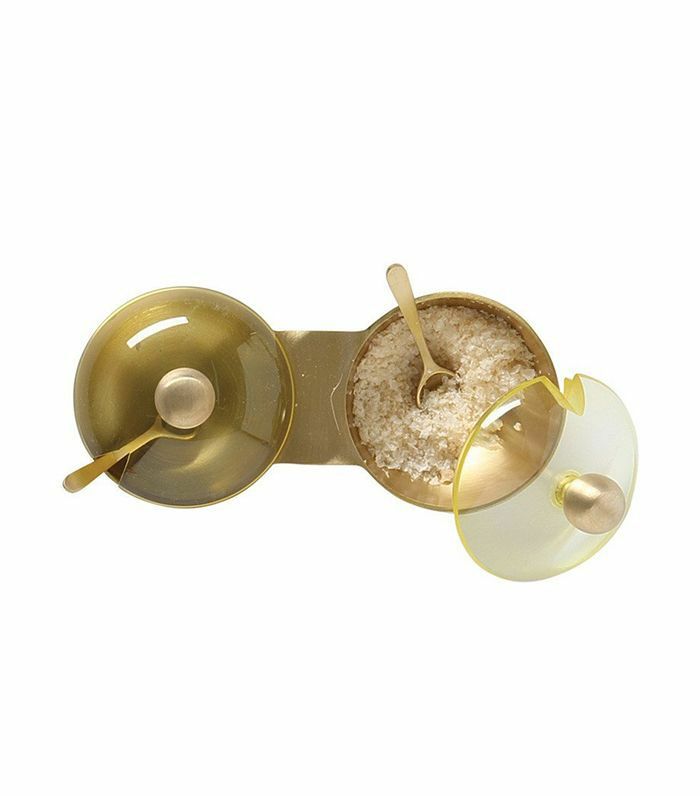 A yellow and brass dual spice dish means ditching the boring S+P shakers is within reach. Plus, this foodie gift guide item comes with the cutest little spoons for serving. 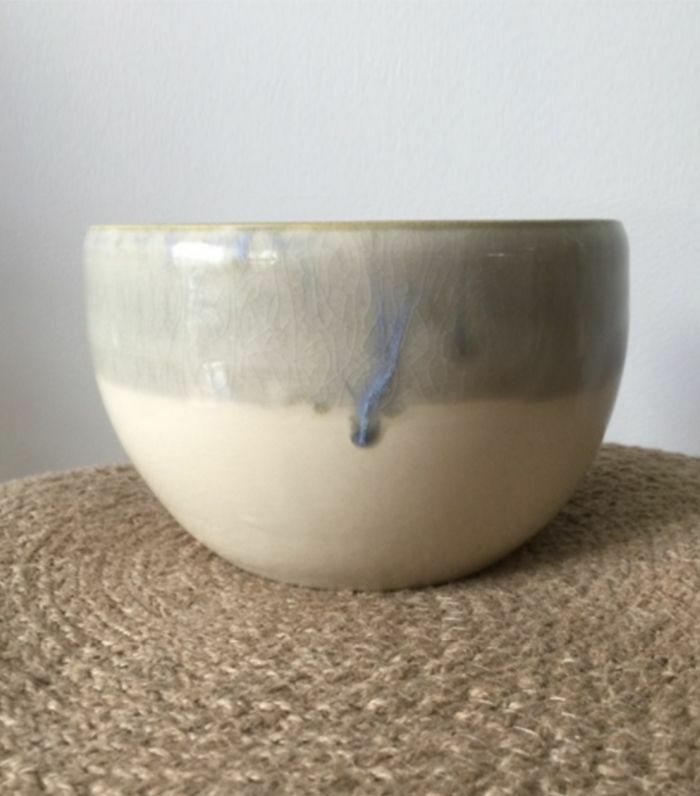 The everyday bowl gets a gorgeous update in the form of a hand-thrown ceramic piece. Plus, the inside is special—it’s a speckled sand interior. 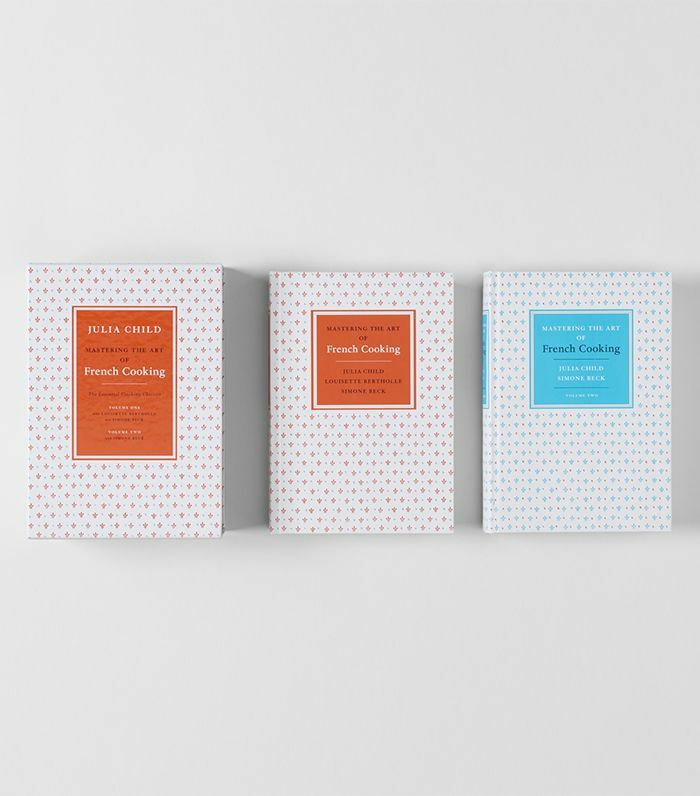 For the cook: Julia Child’s two-volume Mastering the Art of French Cooking. 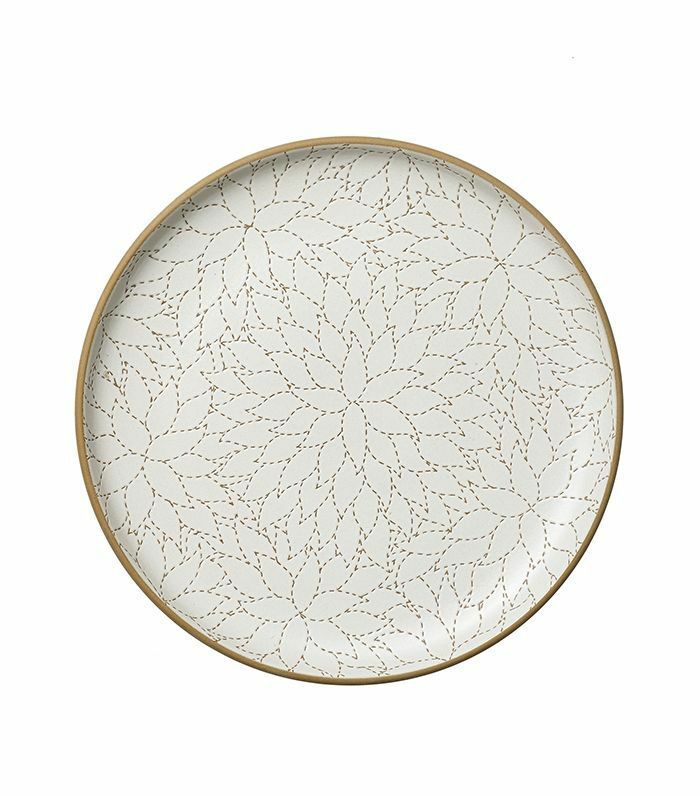 Not only will it serve up some recipe inspo, but the pretty patterns make it an objet d’art in the kitchen as well. For a foodie-obsessed gift that gives back, Creative Women’s products support women’s independence around the world. 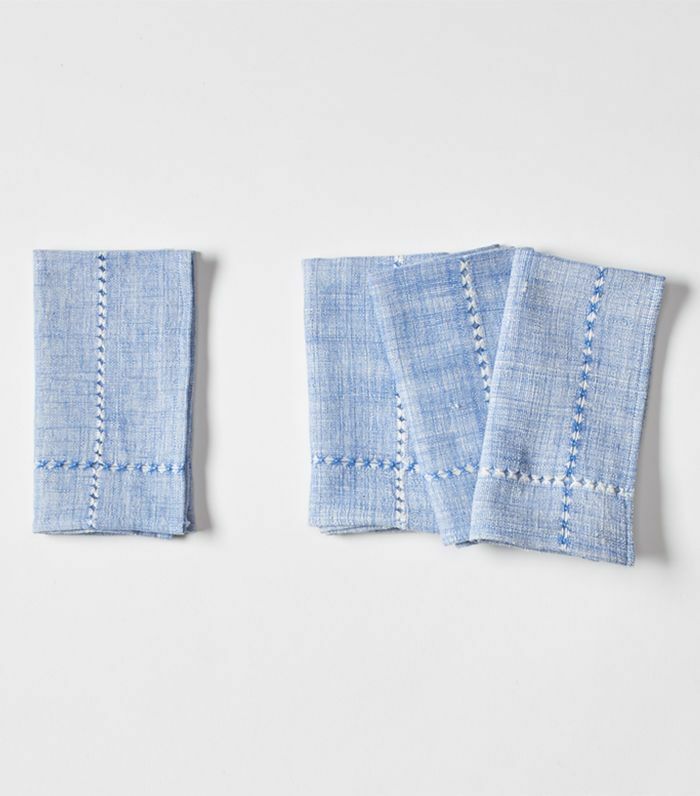 These stunning hand-tied napkins are handmade in Ethiopia by female artisans. 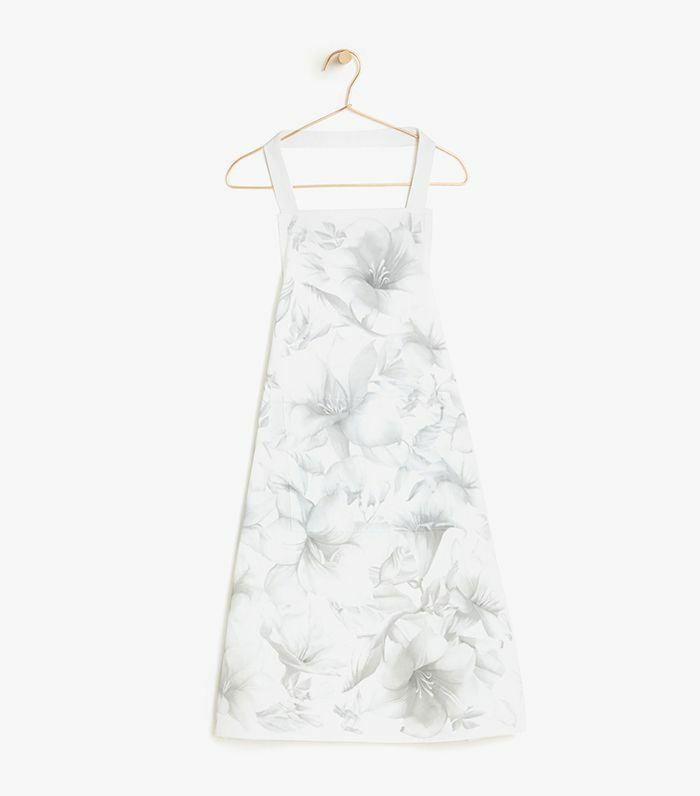 A muted floral apron keeps kitchen messes at bay. What’s more, the all-cotton piece is machine washable, rendering cleanup a total cinch. A gorgeous camellia serving platter has “stitched” detail that is unlike anything we’ve seen before. Although it’s a statement piece in itself, there are also matching pieces for maximum effect. 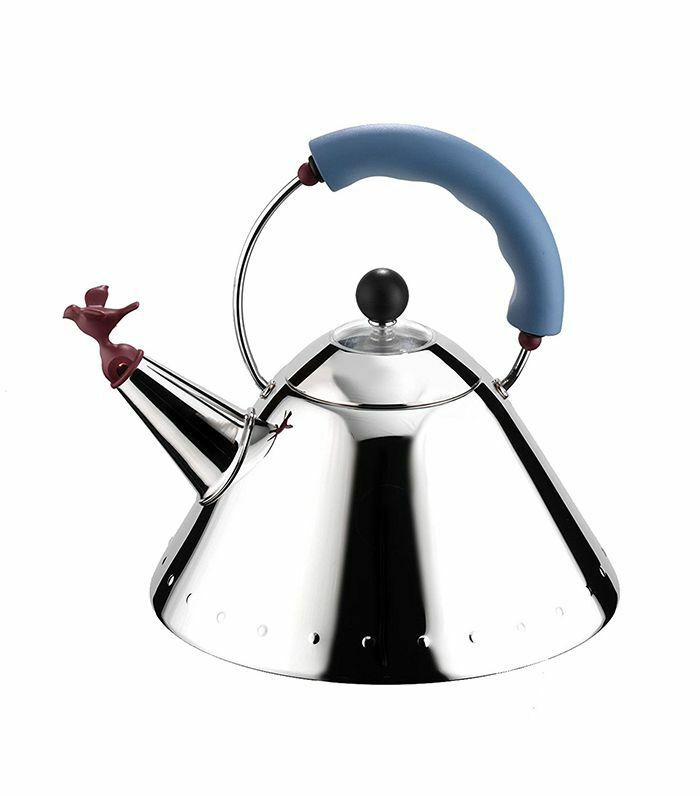 One of my good friends registered for this chic kettle for her wedding—I had to buy it for her—and I’ve been eyeing one for myself since. It boasts a cute little bird-shaped whistle that sort of “chirps” when your water is ready. 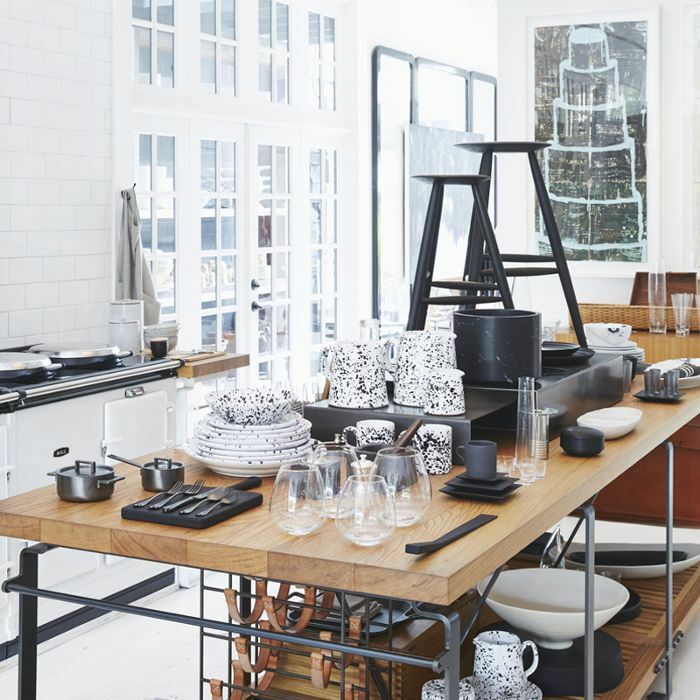 This modern tableware brand was dreamed up by two former magazine editors. 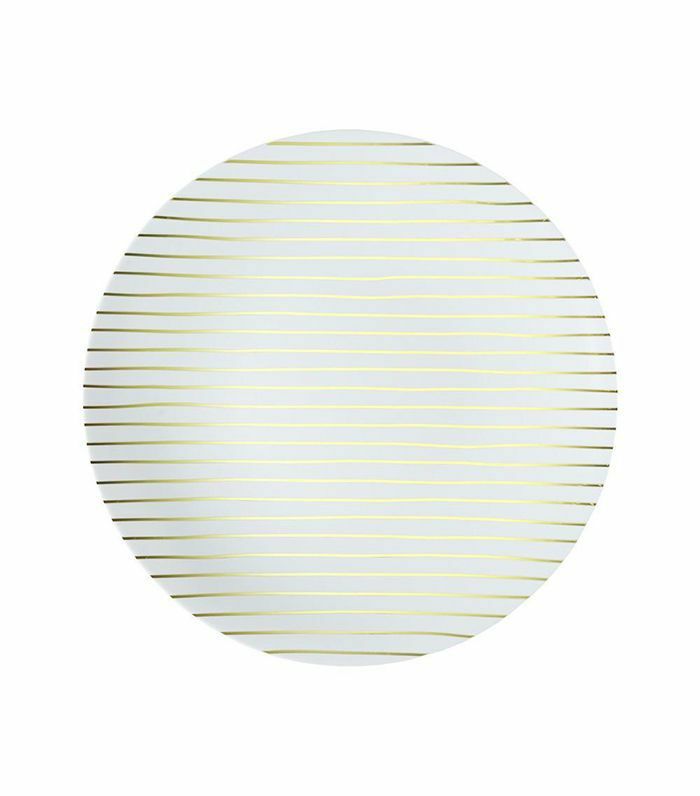 Single-use plastic plates (like this metallic striped number) mean there’s no more need to do dishes while entertaining. Tell us: What do you think of the foodie lover’s gift guide? Be sure to let us know in the comments, then read about the best holiday gifts for kids.